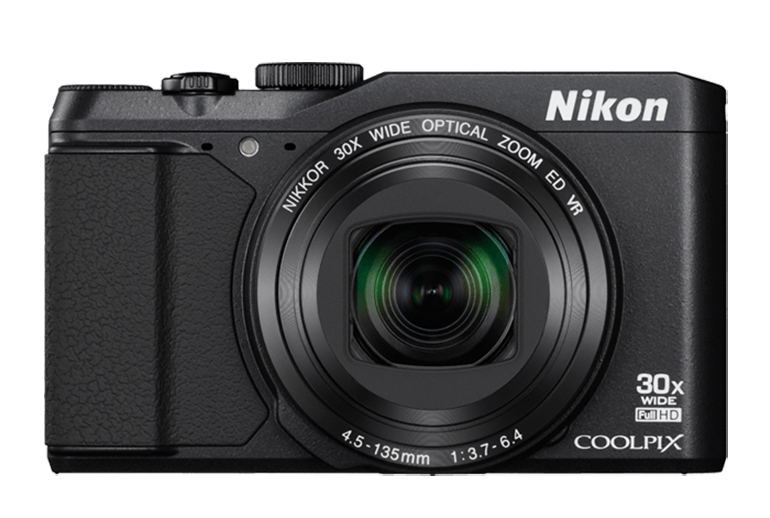 The Coolpix S9900 comes with a 30x Optical zoom, backed up by Nikon's 'Dynamic Fine Zoom' enhanced digital zoom. It has a very effective vibration reduction system to steady long telephoto shots. 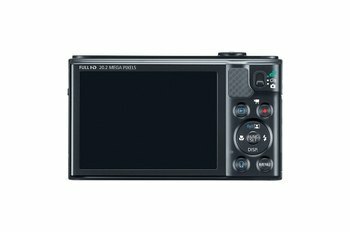 With the 3-inch variable-angle LCD screen, you see the action no matter how you need to position the camera. There is no raw mode for sophisticated editing on a PC afterwards. 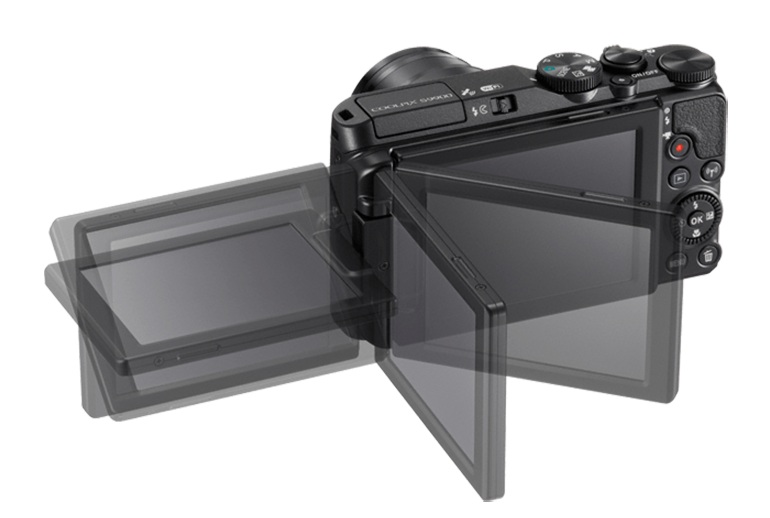 There is no built in or optional viewfinder; all you get is a non-touchscreen LCD. While it has a great zoom, you might find that detail is lacking and the image quality leaves a lot of room for improvement. 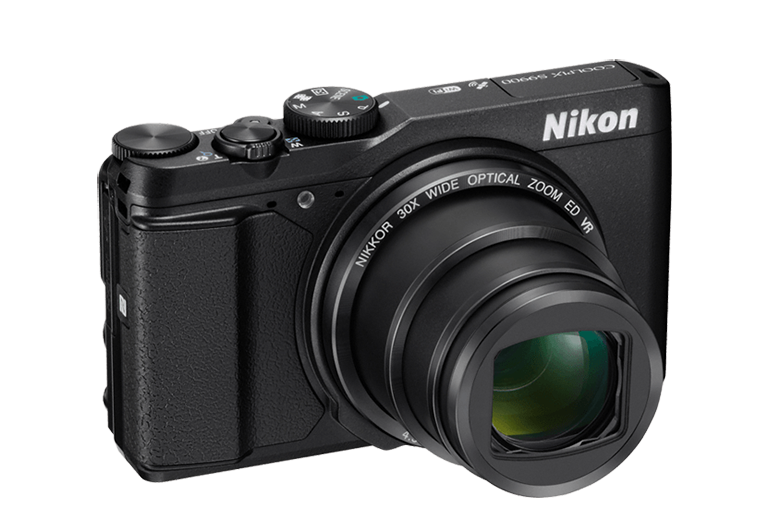 The retro-styled Nikon Coolpix S9900 uses the same 1/2.3-in sensor and 30x optical zoom as last year’s S9700, but adds a new 3-inch fold-out LCD screen which angles in any direction to get that perfect shot--even a selfie. You can log your shooting locations with the built-in GPS, and post images to a phone or PC with integral Wi-Fi or NFC connectivity (making it a great companion for some Android devices). 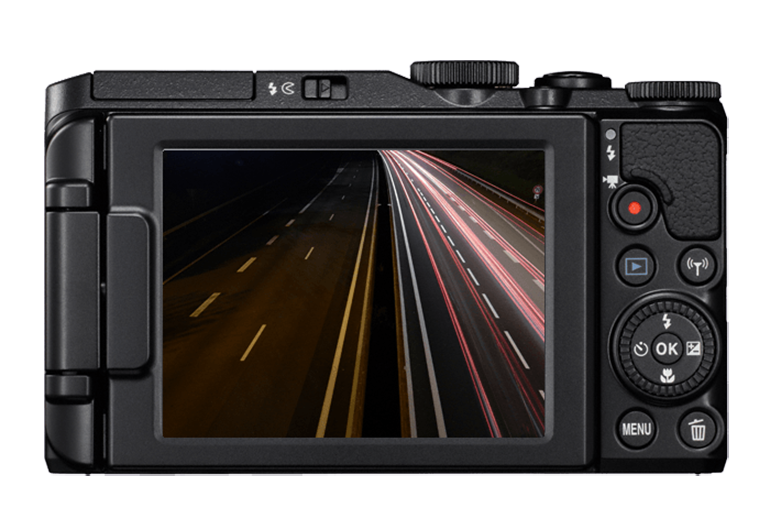 The S9900 minimizes camera shake with a 5-axis hybrid vibration reduction system, combining electronic and optical stabilizers. 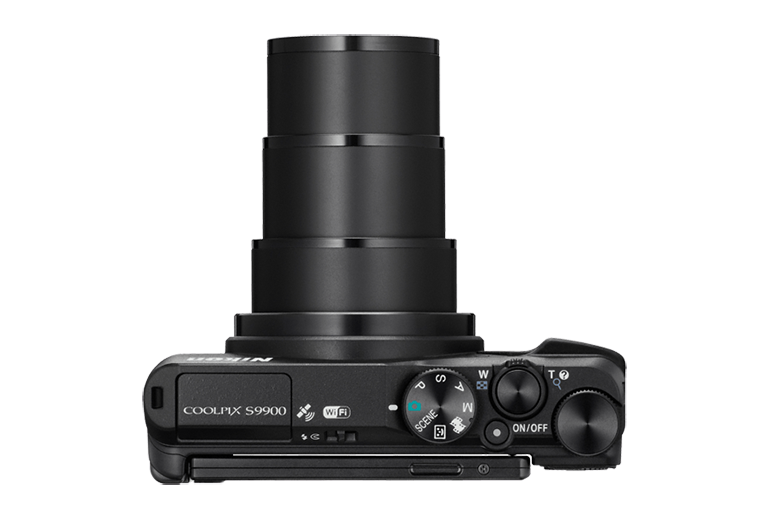 The S9900 also adds more control for manual shooting, though the lack of RAW and limited image quality may turn off enthusiasts. 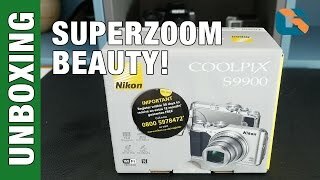 Even though it's far from perfect, the S9900 is the camera we'd happily spend our money on. It's a Best Buy. 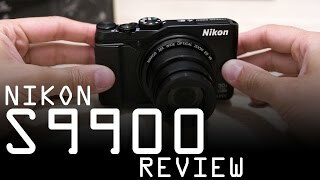 Even more packed with technology than its predecessor, the new Coolpix S9900 looks like it would be more at home in Nikon's Performance range. Combine this with the Wi-Fi, GPS and intuitive and pleasant handling, and you've got a great candidate for your next holiday companion. With regard to picture quality, though, the S9900 is a way behind the competition. Like the S9700, images don't show as much detail as we would have liked to see, but colour and exposure are both good which should make the camera ideal for sharing images on social media websites such as Facebook. Despite its small size and light weight, the S9900 feels solid and well engineered. 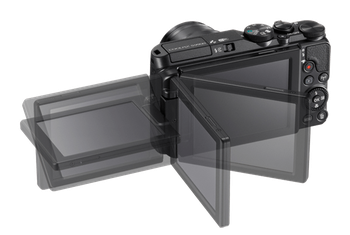 Advanced user can also take advantage of Nikon S9900s manual exposure mode. 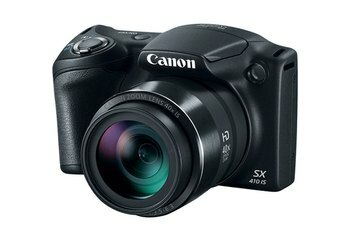 Unfortunately S9900 doesn't have an external flash shoe so you are limited with the built-in flash. The zoom range is perfect for wide landscapes and travel shots, as well as portraits and far-off wildlife or outdoor sports. 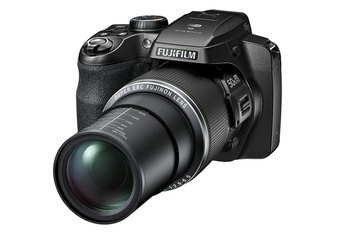 Thankfully, a hybrid system of lens-shift type and electronic Vibration Reduction is included, which will help fight blur from camera shake, for both stills and video. Nikon's 25-750mm equivalent is a match for the Lumix and Sony models, but my tests show that's it's not quite up to the same quality as the optics on those models.